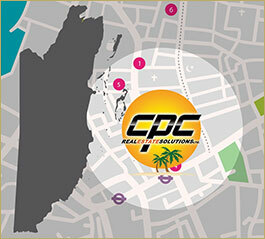 Buy Belize properties effortlessly with the help of our experienced agents and thorough country-wide listings. Our Belize real estate agents are knowledgeable about the country and the property buying processes and will make your property purchase a very pleasant experience. In Belize, like everywhere else, the price of properties here is fueled by demand. The closer a property is to the coast or city centers, the higher the price will be. Cheaper properties can be expected further in land. Aside from the cost of property, other costs you will likely incur are Land Title Transfer Fee, Attorney Fees and Property Taxes. You can see a full breakdown here. Land Title Transfer Fee is often referred to as stamp tax and is 5% of the cost of property, with the first US$10K exempted from this fee. An attorney is not mandatory when buying property but people utilize their services in assisting with title searches to ensure the property being purchased is not subject to any liens or encumbrances. Can a non-national own property in Belize? What kind of property titles are in play to buy Belize properties? What about property titles for condominiums? When you purchase a condominium in Belize, you will be issued a Strata Title which is a subset of the Registered Land Title System. The condo developer normally applies for this Strata Title before selling the units. When the individual units are sold, an Owner’s Association is then formed which is also known as a Strata Corporation. How to verify that a property has a clear title? A title search is completed (mainly by a lawyer) at the lands department to ensure no liens, charges or encumbrances may be apparent on title. The title search is also done within the Courts of Belize to ensure that there are not claims being brought against the title to the property or the owner. Is title insurance necessary when buying Belize properties? No, property insurance is not a necessity to buy Belize properties. A title search guarantees the status and security of the title; however, title insurance is available if you desire the added protection. What currency is real estate normally listed in? Belize real estate properties are usually listed in US dollars.